Mark Redmond is headed to Broadway — not for good, but for a one-night solo performance in October. 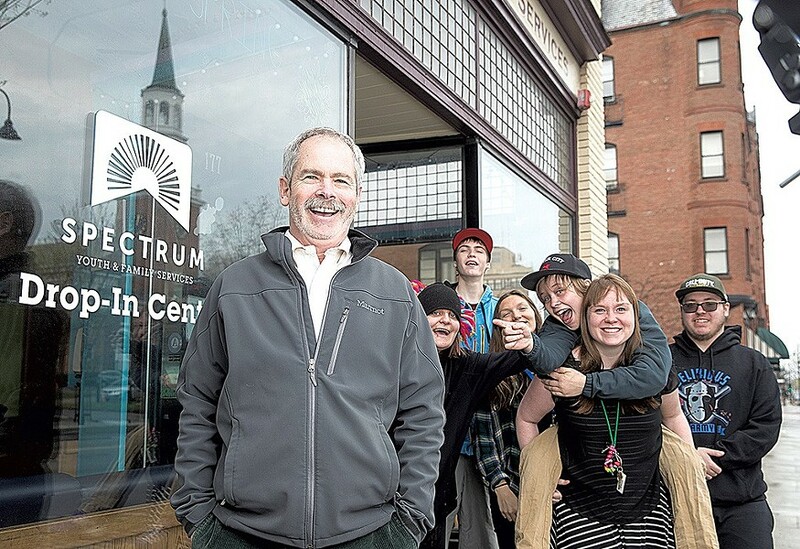 This week, the longtime executive director of Spectrum Youth & Family Services in Burlington was informed that his one-man show, “So Shines a Good Deed,” was chosen from among hundreds of applications for inclusion in the 2019 United Solo Theatre Festival in New York City. The annual event, now in its 10th year, claims to be the world's largest solo-performance festival, featuring storytelling, puppetry, dance, multimedia, improv, magic, drama and stand-up comedy. The festival will be held in October in the newly renovated Theatre Row Building on 42nd Street, in the heart of Manhattan's theater district. The irony, Redmond noted in a phone interview with Seven Days, is that 38 years ago, he walked by that very theater every day on his way to and from work. The now 61-year-old Redmond was a full-time volunteer at Covenant House, a shelter for runaway and homeless teens in New York City's Times Square. 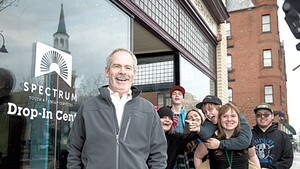 As Seven Days chronicled in a May 3, 2017 profile, "A Storied Life," Redmond left a prestigious management training program in 1981 to begin his career working with troubled teens. Many of the stories he now tells onstage date to his earliest days of working on West 42nd Street, which in the 1980s was commonly known as "the sleaziest block in America." 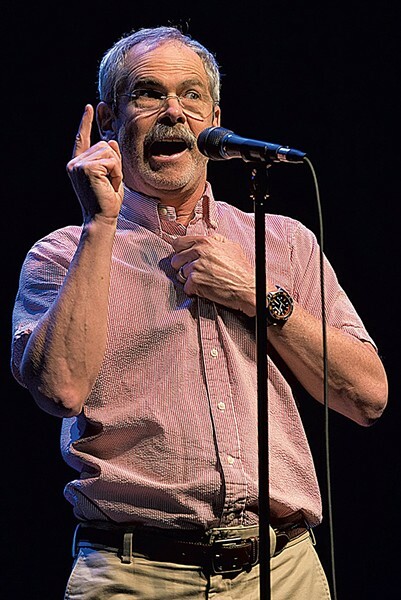 Mark Redmond performing at the Moth GrandSLAM in 2018. Redmond, who's long used his innate storytelling abilities to fundraise for Spectrum, got started in formal storytelling by calling the "Moth Radio Hour" pitch line. “I did that in 2013 and didn’t think anything of it,” he recalled. When a Moth producer called him back months later, Redmond couldn’t even remember what story he’d pitched. He's since competed on the Moth stage several times and been featured on the storytelling podcast, Risk! 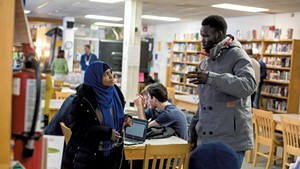 Redmond's "So Shines a Good Deed," features about a half-dozen stories spanning his now four decades of working with teens. He first performed the one-hour, 17-minute show at Burlington's Main Street Landing on November 15, 2018.